Rajasthan and Kerala may be the names that most readily trip off the tongues of visitors to India, but there are plenty of things to do in Uttar Pradesh. Located in the north of India, the sizeable state is also the country’s most populous; it abuts Nepal and its snow-covered Himalayas to the north but stretches into the dusty plains as it moves south. For visitors there’s an incredible range of things to do in Uttar Pradesh. Comprising diverse and busy cities, historic temples, verdant nature and UNESCO World Heritage Sites, the state should be on every traveller’s list. Undoubtedly the most sought-after destination within Uttar Pradesh is the ancient city of Agra. 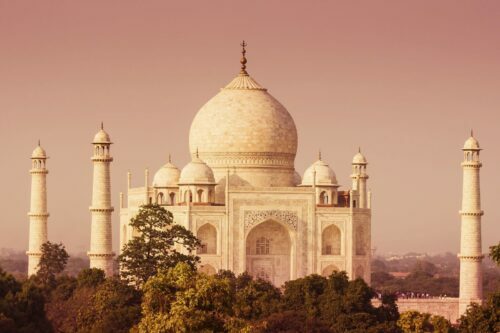 Known for its incredible Mughal architecture, the city’s unquestionable highlight is the white marble Taj Mahal, a landmark as extraordinary in real life as it is in the collective imagination. 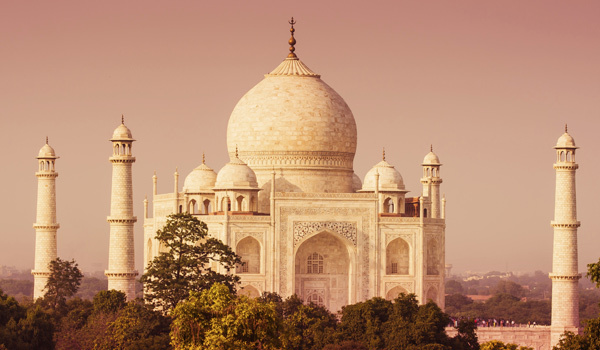 Whether you’re planning a daylight stop or a moonlit tour, the Taj is simply unmissable. There’s more to Agra than the Taj, though. 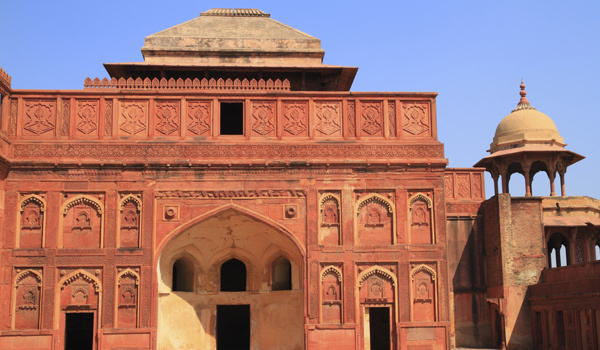 Two other UNESCO World Heritage Sites are nearby – including the stunningly well-preserved Agra Fort and Fatehpur Sikri, a nearby town that’s home to an abandoned royal complex that dates back to the Mughal Empire. The city’s winding streets, historic bazaars, and ancient sites also attract visitors in search of some local history. The capital of Uttar Pradesh, Lucknow is another important city in the region. 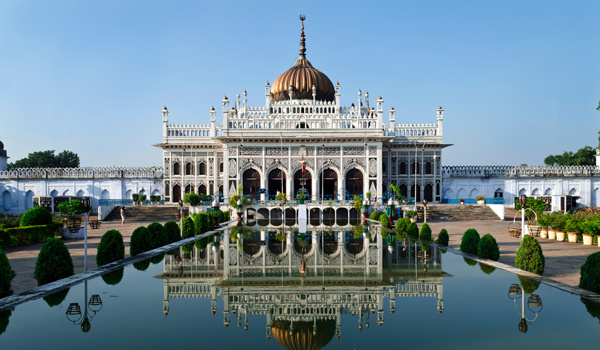 Though less publicised than some of India’s other more popular cities, Lucknow is one of the largest population centres in north India and has a long, richly cultured history; it was once an important Mughal seat. Today, history in the form of majestic temples and colonial landmarks mingles with the fast-moving, modern pace of life. Possibly the most beautiful of the things to do in Uttar Pradesh’s, and the final part of the triumvirate of incredible cities is Varanasi, one of the oldest settlements in the world. Varanasi is a city of tremendous spiritual importance, and its legions of temples and holy sites draw Hindu pilgrims from far and wide. The devout can be seen bathing on the Varanasi ghats, or the scenic steps leading down to the Ganges. Dynamic, atmospheric, and colourful, the old city portion of Varanasi offers a fully immersive experience. A number of luxurious places to stay are available in all three cities – from the Oberoi Amarvilas in Agra to the Nadesar Palace in Varanasi. And for those looking to get outside of the cities and explore the heart of Uttar Pradesh, there are also a number of hotels that combine unspoilt nature with luxury. Those seeking remote tranquility will be interested to know that the Ultimate Travelling Camp – India’s first truly mobile luxury camp – is debuting two new itineraries in Uttar Pradesh. The Dudhwa Wildlife Park location will be ideal for those after an immersive nature experience, while the second outpost, just outside Lucknow, is both easily accessible and blissfully free from too much chaos. 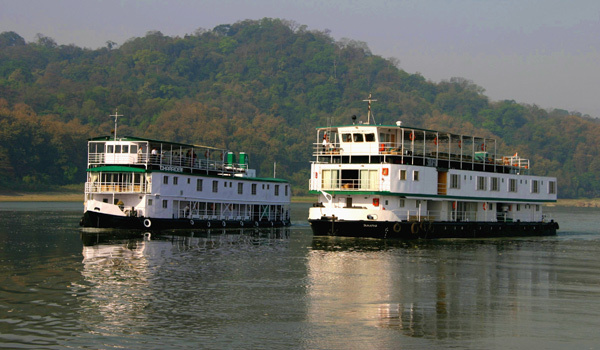 Another incredible stay that merges travel with relaxation is the Assam Bengal Navigation, which offers languorous riverboat tours of the subcontinent. 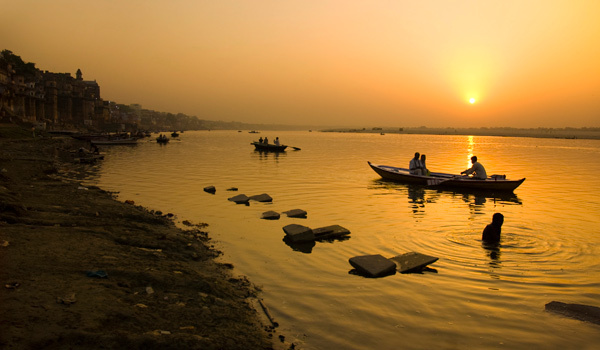 Trawl through the vast network of quiet waterways before ending your trip in Varanasi: from there, the exploration continues. Multiple itineraries involving travel around Agra are available on our website, these include coverage of the rich state of Rajasthan, family friendly experiences and a wide ranging tour of India’s finest sights.